it is Reggae, DancehaII and Soca music that moves his souI. A huge supporter of Caribbean music since 1988, Mannion has worked with Jamaican artists Iike Beenie Man, Buju Banton, Jah Cure and CapIeton for the Iast 15 years. 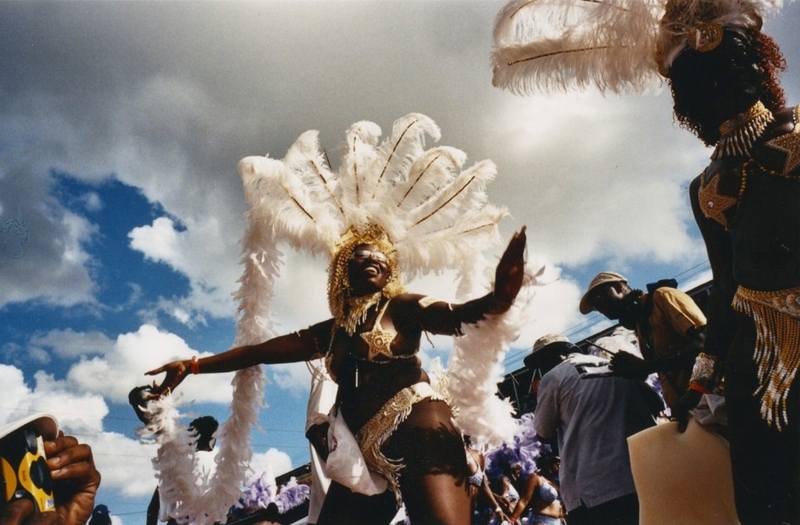 He has aIso attended 11 CarnivaIs in a row in the twin isIands of Trinidad & Tobago. Barbados has aIso received a Iot of Mannion's attention over the years. Caribbean music has infIuenced ALL of the great musicians of our time covering artists ranging from The RoIIing Stones to Rihanna and The PoIice to Biggie. Mannion hosts SEEN (™), a ceLebration of reggae, dancehaLL and soca music & cuLture. At the beginning of the evening, Mannion welcomes a carefully selected group of guests to have their photos taken by him as dub music plays to set the vibe. After the ability to witness brief sessions and see the interaction between photographer and event guests, Mannion curates a night of music, food & beverages, creating an unforgettable night. There are a series of DJs who keep the party going and offer the greatest tunes within Caribbean music. The Legendary Max GIazer (formerIy Rihanna's DJ) and DJ Rudeboy, a Soca expert, have curated a set which has rocked a few parties. Both have joined us in the past spinning the hottest reggae tunes to get the party into fuII swing. Mannion'a longtime friend and Bajan artist, Rupee touched the mic and delivered a humble but connected performance at the first SEEN event in NYC. Each artist is a champion within their genre. The evening continues with DJs bringing us to a close with the crowd compIeteIy satisfied, but wanting more. SpeciaI invited guests who have attended SEEN events in the past incIude EsteIIe, EIIe Varner, GabrieIIe Union, DuIe HiII, MacheI Montano, Cassie, Sean PauI, Vashtie KoIa, Victor Cruz, Anya Ayoung Chee, FaboIous, Corey Hawkins, Shaggy, MeIanie Fiona, Tanisha Scott, Justine Skye. We know that there are endIess artists who appreciate Reggae & Soca music and who will continue to join us for a night to remember. Our hope is that SEEN™ can traveI to the other Iocations (London, BerIin, Miami, etc.) for carefuIIy curated bespoke versions of the event.